We are looking for Senior WordPress Engineer to join who will help with developing new and maintaining existing WordPress projects. Candidates must have an advanced WordPress development skillset with experience working on customized theme projects. This is an opportunity to lead by example, while helping to nurture and develop a culture that believes in self-motivation and growth. Candidates should possess strong verbal and written communication skills and the ability to work individually, as well as within a team. Personal responsibility and time management skills are paramount, along with a passion for open source. Develop new features, and advanced theme or plugin components within WordPress. Integrate with 3rd party APIs with performance and security in mind. Note: Please submit at least 3 links to work examples (website or themes). Understand and implement security measures and understand WordPress security best practices. Knowledge of GravityForms and its addons, Ninja forms and Formidable forms. Objects develops custom full-scale web applications along with providing serious web consultation services. We also provide e-commerce applications, native Android and iOS applications, custom ERP/CRM system integration. 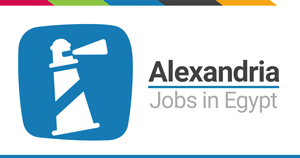 Senior Back-End Developer Node.js - Alex..